Next stop: Jupiter. Last week included one of the few times in history that humanity launched something completely off the Earth, moving away so fast that it will never return. 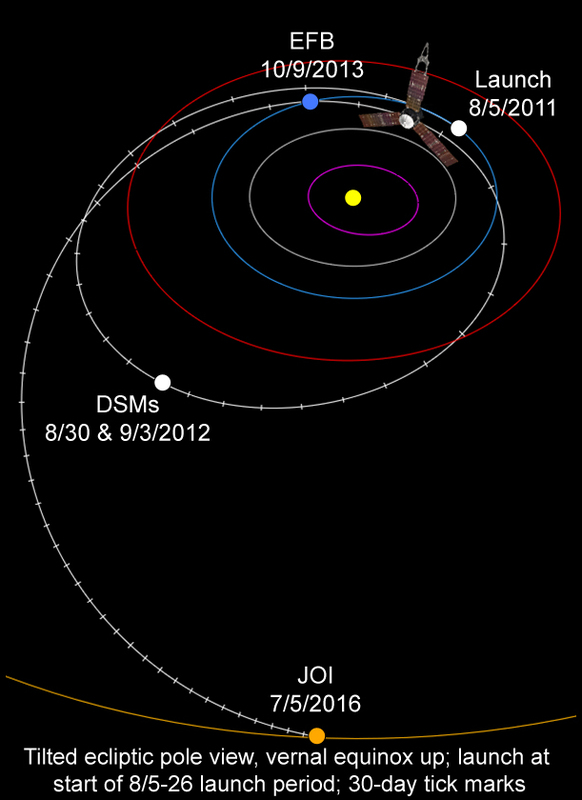 Well, almost -- Juno's planned trajectory actually brings it homeward bound in about two years, zipping by, this time using the Earth's gravity to pull it to an even higher speed, high enough to reach Jupiter. The above video depicts the launch of Juno aboard a Atlas V rocket. When the robotic Junospacecraft reaches Jupiter in 2016, it will spend just over a year circling the Solar System's largest planet, using its unique cadre of instruments to probe the planet, sending back clues of its structure and origin. Then Juno will be instructed to dive into the thick atmosphere of the Jovian giant, taking as much data as it can before itmelts.